Filled with lush landscaping, rugged and worn textures, over the top architecture, and ambiguously exotic music, Adventureland is a beautiful and complex piece of the Magic Kingdom's proverbial puzzle. Its fairly obvious that I love this land, and I need to reiterate that it is indeed my favorite. Not to be overlooked in the makeup of Adventureland is the wonderfully themed signs. It's funny how as a seasoned Disney explorer I rarely take the time to look at actual signage. It's not that I run from attraction to attraction…but if I'm touring the park (as opposed to taking blog photos) there is simply no need for me to look at signs. I'm fairly certain I can navigate with my eyes closed. Clearly I had to start with my favorite of the bunch. The Swiss Family Treehouse is a timeless attraction, with an equally timeless sign. This has all the Adventureland elements going for it. Rugged repurposed wood, legible but not annoying type, and the color palate is perfection. I'm just going to assume that the image is the Robinson family crest…and I'm also going to assume that its a cat swiping at a yarn ball. Regardless, I need a tattoo of this image asap. Maybe Aloha Isle's sign should fall into a middle ground section of good design / bad design. I think my affinity towards it comes purely out of nostalgia…but heck, that is the basis of why I write this blog to begin with. Otherwise I can pinpoint why I like it exactly, other than yum. It is a very pretty advertisement though. Classic trumps everything. The return of the original-esque Tiki room a few years ago not only brought us our beloved attraction, but also the demise of the hideous monstrosity of a sign that accompanied Under New Management. Zazu and Iago had no place in Adventureland, and I could say that about most Disney characters. The old sign was desperate and over the top in a bad way. Sure, its not the original Tropical Serenade sign. But lets be honest, that version wasn't much better than Under New Management's. Adventureland signs love to dangle. 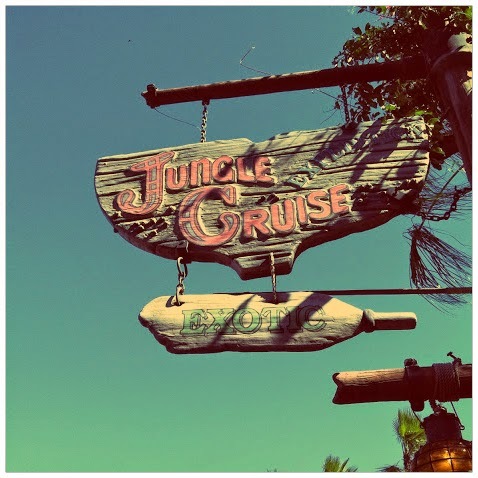 Is there anything bad you can say about the Jungle Cruise, sign or otherwise? The "boat pieces" that make up this sign tie into what the actual attraction is, and I'm pretty sure there are barnacles on the top portion which makes me delirious with joy. You guys, the oar says EXOTIC. How random and amazing is that? Fits in perfectly with the attraction and surrounding area. OK. You knew there was at least ONE bad design, right? The Pirates of the Caribbean mast sign is obnoxious. This is the definition of whats wrong with The Magic Kingdom in general. I prefer the original, understated signage…which fit perfectly with the pseudo-Spanish architecture. Guests aren't stupid, you don't have to shove attraction marquees in their faces. Plus, this kind of kills the theming of the area. Notice how the other signs are much more understated and blend with their surroundings. This is way to "in your face." Ugh. Get rid of it. I'm glad that the signs in Adventureland are generally pretty amazing. It would be a shame to throw off the theming of this wondrous land in the name of luring people into attractions. And when its all said and done, the Pirates sign is still head and shoulders above the Carousel of Progress "gear sign." Sheesh. 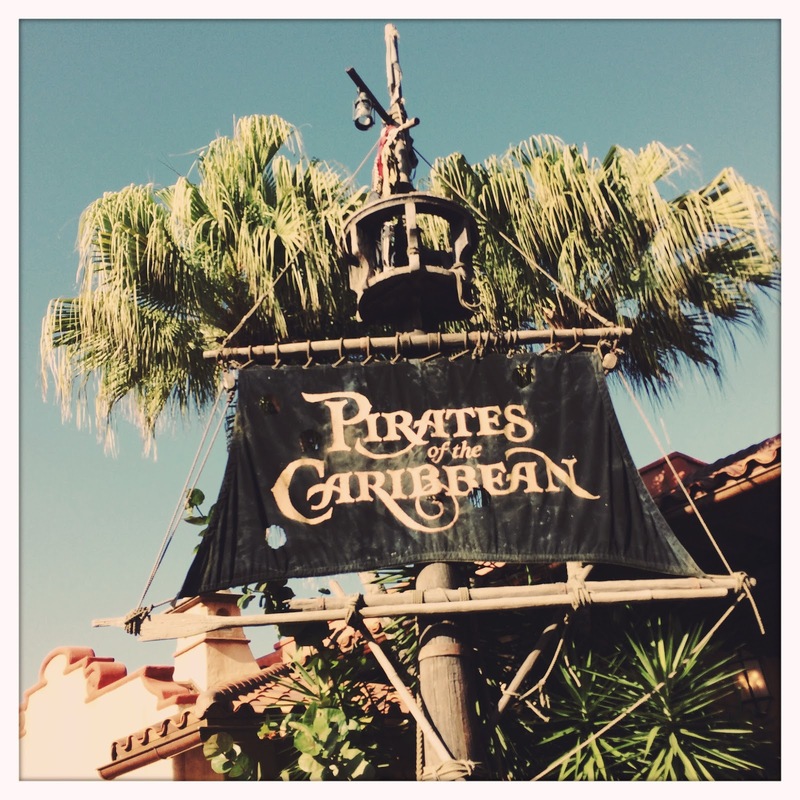 Do you have a favorite Adventureland sign? What about least favorite? Let us know over on Twitter or Facebook! Better yet, tag us in a Adventureland sign photo on Instagram! 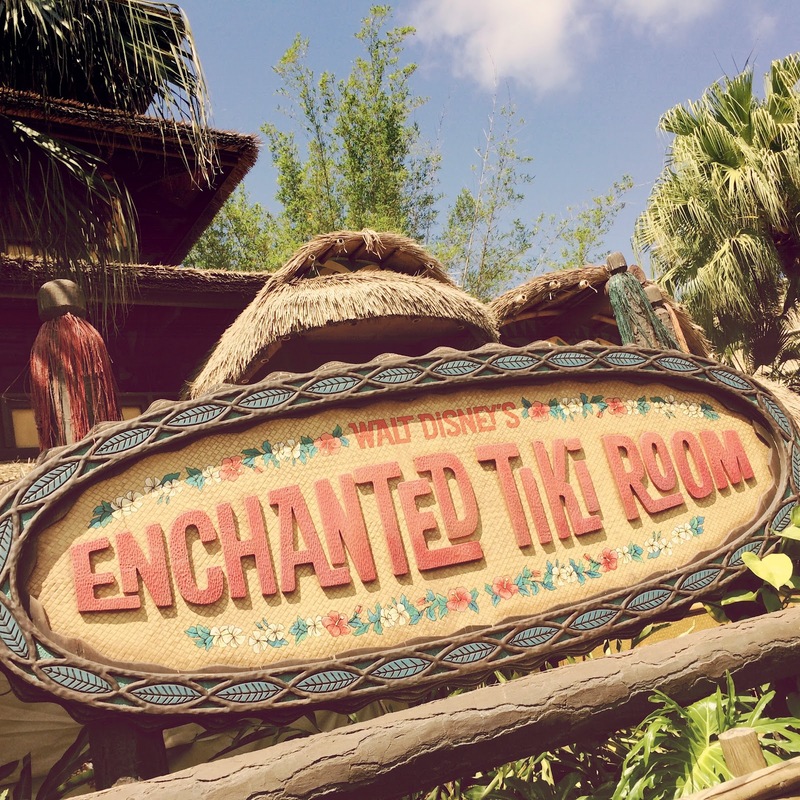 That Tiki Room sign… perfection! I definitely agree on the Pirates of the Caribbean sign, though. Totally out of place! Love the Zanzibar sign with the ship-mobile underneath! PoTC sign always sticks out like a sore thumb. This Signs are so much effective if we see. Thanks for this valuable posting. I get many information from it.